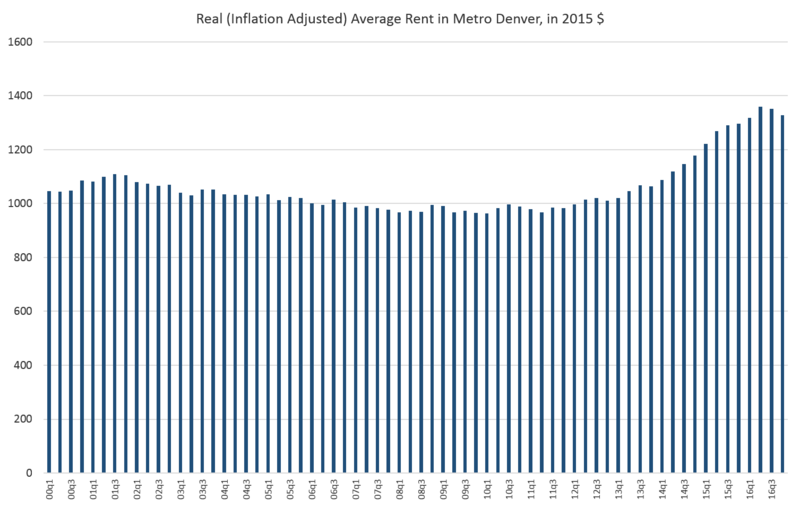 According to the latest data from the Apartment Association of Metro Denver, the average rent in Metro Denver during the fourth quarter of 2016 was $1,347, which was down from the third quarter average rent of $1,368. The fourth quarter's average rent was up from the fourth quarter of 2015 with the average rent rising 4.2 percent from $1,292. 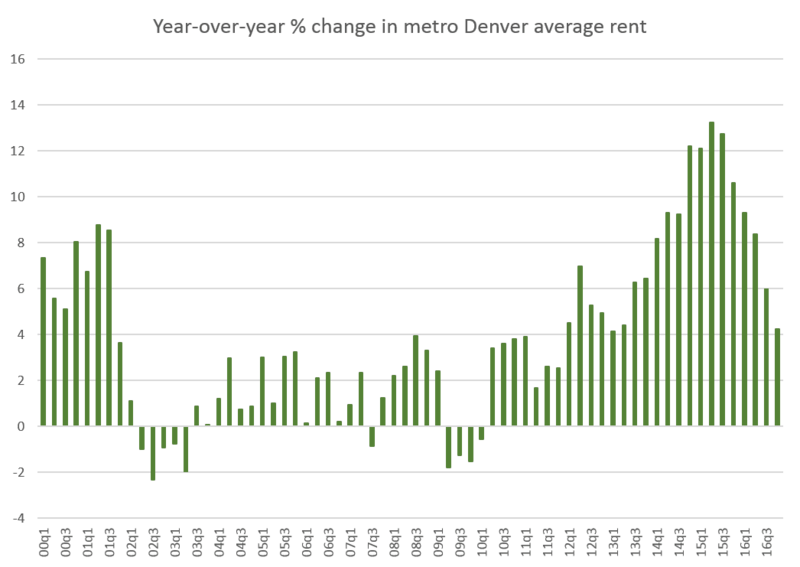 Rent growth has been falling for the past six quarters after reaching a record high of 13.2 percent during the second quarter of 2015. 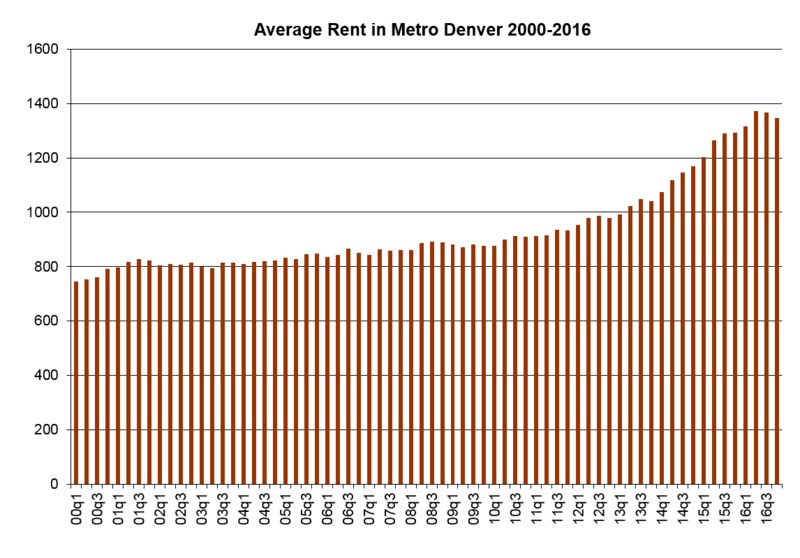 Flattening rents are likely a result of substantial increases in new housing construction that took place in metro Denver since 2012. In October 2016, for example, new housing permits reached the highest level recorded since 2001. Not surprisingly, we also find that vacancy rates have increased as well. 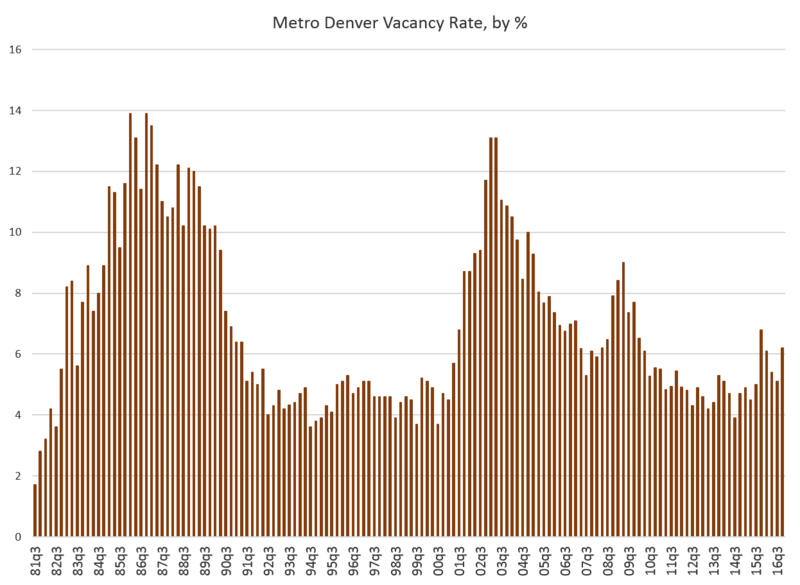 During the fourth quarter, the metro Denver' vacancy rate rose to 6.2 percent, which was up from the 3rd quarter rate of 5.1 percent. 2016's fourth quarter rate was down, however, from the vacancy one year earlier. The vacancy rate had surged to 6.8 percent during the fourth quarter of 2015, but fell again during the first quarter of 2016. Nevertheless, 2016's fourth-quarter rate of 6.1 percent is the second-highest vacancy rate recorded since 2010. 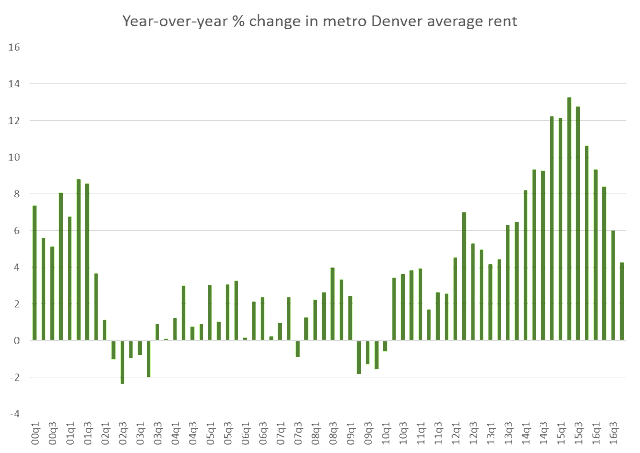 All of this points toward some stabilization in the market, although there is still little to indicate that we're entering a bearish market in multifamily housing, barring a sizable economic shock to employment or incomes.